A lovely residential project is coming up in the eastern sector of the megacity. 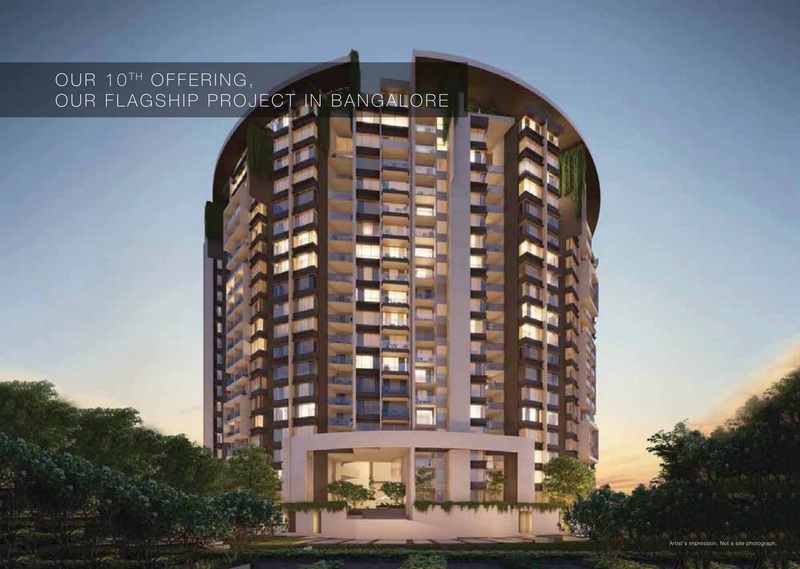 Godrej Reflections located off the Sarjapur Road, will transpire to be a spectacle in the city of Bangalore. With architects from all over the world currently brain-storming to make this project a starry affair, Godrej Group is leaving no stones unturned to develop a fabulous residential society at great prices. With a total land parcel of 12.5 Acres, out of which 6.5 Acres will be used for the first phase of construction. In total 265 units will be ready for possession in December 2021. With an open space of 80%, this project will be nothing less than a superbly built residential development. The floor plans that will be available here at this brilliant project by Godrej are 1 BHK, 3 BHK Flexi, Comfort & Premium and 4 BHK Penthouses to choose from. While 27 Nos. 1 BHK units will be available, 63 Nos. 3 BHK flexi units will also be on offer here. Additionally there will also be 3 BHK large & premium and 4 BHK units to choose from. In total 3 variants of 3 BHK units will be on offer, 132 units of 3 BHK variant will be on offer. Similarly, 43 variants of 4 BHK apartments and duplexes will be on offer for the masses to choose from. Depending upon one’s budget and requirements he/she can choose the unit with much frenzy. Get in touch to know more about this brilliant project and live a life less ordinary. The lower density of towers as compared to the area in which the development is expected to take place will offer more ventilation and unhindered view of the Sarjapur and Kasavanahalli Lake. This will give a unique experience to the residents of the project. It will be a treat to the eyes of the residents who will reside here in the near future. Godrej Reflections Residential Project – Is this Afforadable?